Too few bullets, too many enemies, and only a vague sense where to go. But you've got your friends. It doesn’t take long to die in GTFO. Miles belowground, in some sort of dark and abandoned mine, monsters stir. You can hear them as you draw close to every blind corner and sealed door, the telltale hiss and rattle of unnatural breathing. It’s a sound that signals impending doom. But you’ve been sent down to this dark hell for some unknown reason, and you’ll be damned if you’re leaving until you’ve found...whatever it is you’re presumably looking for. Better hope your friends can watch your back. GTFO is the debut game from 10 Chambers Collective, a team made up of Payday vets—and it’s obvious. 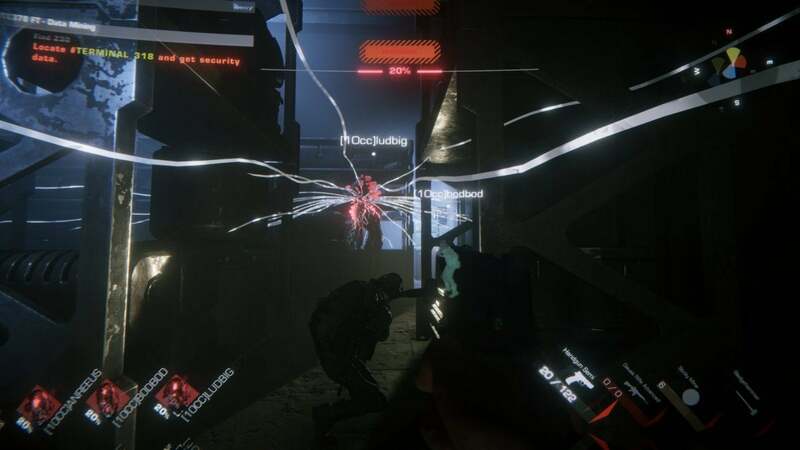 Like its spiritual predecessor, GTFO is a cooperative four-player shooter, heavy on tactics. But where Payday looked to heists for inspiration, GTFO draws on horror tropes. 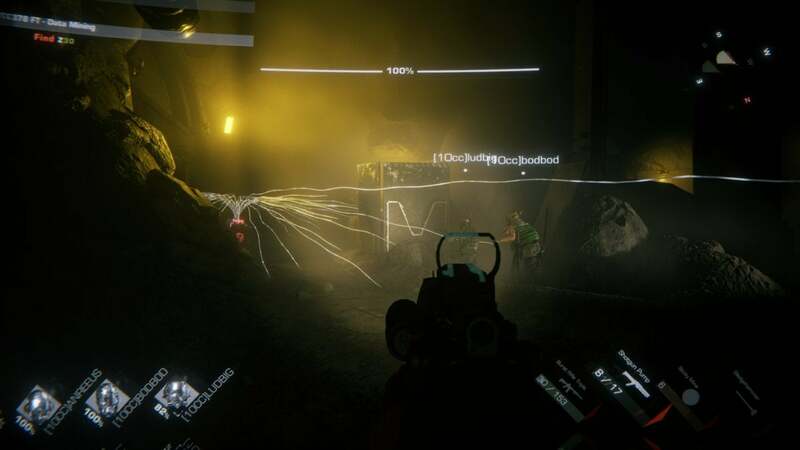 You and your crew are trapped underground with too few bullets, too many enemies, and only a vague sense where to go. The four of you are dropped into the caverns and given a specific “Zone” to get to, i.e. Zone 19. Why? I’m not really sure. If there are story reasons, I didn’t hear them in our demo—either because they weren’t there, or because they were so inconsequential as to be superseded by our team chatter. It doesn’t matter much regardless. The door you need to get through is inevitably locked, which sends you trudging through the mine in search of a keycard. You could stumble around blind, but there’s a better option. Scattered through the mine are terminals, equipped with a simple text-based operating system. You can use these terminals to set a waypoint for the keycard you need by typing, for instance, “locate purple_key_732,” with the color and number procedurally generated each match. Usually one player needs to stand by the locked door and call out the search string over the radio. It’s a smart forced-teamwork moment, and I’m excited to see what else GTFO’s terminals can be used for. I doubt they’ve been implemented just to locate keycards, and indeed typing “help” brings up a lengthy list of all the possible commands. But for the purposes of our demo, we set a waypoint and that was it. That was enough too, as we never even made it to the keycard in question. There are a lot of enemies between you and your goal. There are also tools to help you, of course. The loadout phase is probably the most important part of GTFO. Selecting complementary setups is an artform. Someone probably wants to grab the Enemy Scanner, which displays rough enemy positions on its screen—even through doors and walls. Someone probably wants the Glue Gun, which can temporarily seal off doors and slow down crowds. It’s a fully classless system though, so you’re also welcome to run an entire crew with the same equipment. In fact, that might be beneficial on some maps, or for certain objectives. We got a lot of use out of the Sentry Guns, for instance. Pop them in front of a door and they’ll chew through mobs of enemies. If you know you’re going to screw up, having a bunch of Sentry Guns isn’t a bad call. And you will screw up. That’s the lesson I took away from GTFO. 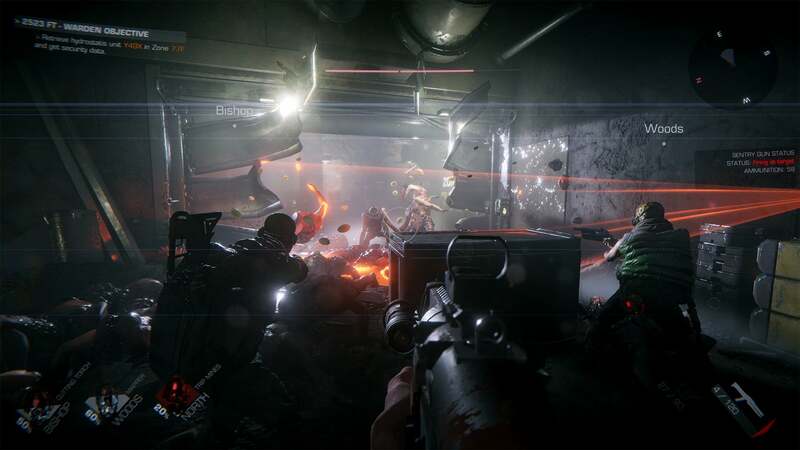 It looks like an action game, but it really is a stealth/survival horror nightmare. Noise alerts enemies, so you spend most of your time creeping through corridors, peeking around corners, and trying to melee-kill the smaller enemies. The Scout was our nemesis though, a monster with white tendrils coming off its face. These tendrils regularly shoot out into the Scout’s surroundings and then retract, waiting for a hint of a disturbance. A single DMR shot to the head kills the Scout, but miss—or accidentally wander into one—and the Scout will screech for reinforcements. Suddenly you’re fending off packs of the smaller Runner enemies, loping at you on all fours, plus probably a few of the larger types. These brutes can bust through reinforced steel doors, and in my experience even one can leave your whole crew ammo-less. So hey, don’t miss the Scout. It’s brutal. At Gamescom last week I played three rounds, with two of the developers included in our four-person crew. As I said, we never even made it to the first keycard, and our longest ingress lasted probably ten frantic minutes. To some extent that might indicate a need for rebalancing. Maybe. Like Payday though, GTFO mandates working together. It’s unforgiving on purpose, because a high-stakes pressure cooker forces teamwork. If one person doesn’t know their role, or isn’t using a microphone, chances are the whole team’s going to wipe. That sense of tension, of inevitable doom, is good fun though—albeit not particularly fleshed out at the moment. GTFO has a great framework, but is lacking in details. Despite a change of environment, both levels we played felt pretty similar, a feeling not helped by how barren both were. Aside from lockers full of ammo and health kits there was nothing for us to find, and thus not much reason to explore beyond the immediate mission directives. 10 Chambers needs to lean into the environmental storytelling a bit more I think, make these abandoned mines and underground laboratories feel more like a place. 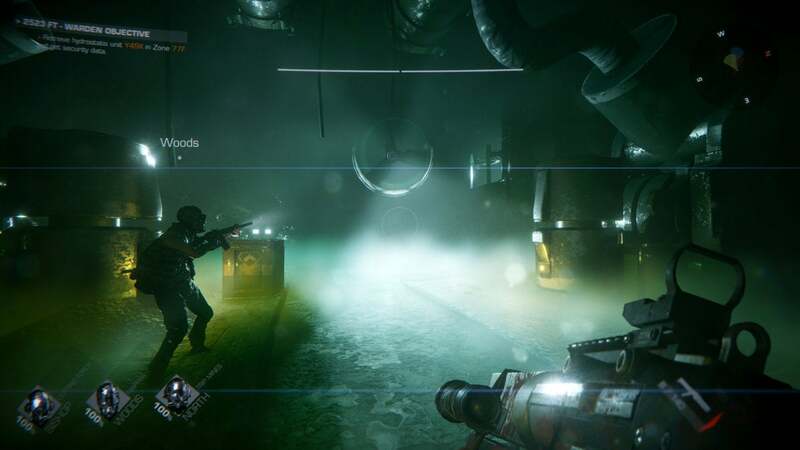 Survival horror is about atmosphere, not just combat. Right now it’s easy to die, but it’s the stories about those deaths that ultimately make games like GTFO stand out. Payday 2 is still one of my favorite four-player co-op games because the bar for success was so damned high. Judging by my demo, GTFO will be at least as difficult. Intimidating, but I’m already excited to give it another shot.